DB-8 MKII, Dynamic Processor from TC Electronic. DB4 MKII and DB8 MKII are available now and will be on display at the NAB Show 2011 in Las Vegas (April 11 – 14) at booth SU10217. DB4 MKII and DB8 MKII are said to conform to new EBU, ATSC and ITU Loudness and True-peak level standards across all platforms and all formats. • Compatibility – conform to new EBU, ATSC and ITU Loudness and True-peak level standards across all platforms and all formats. 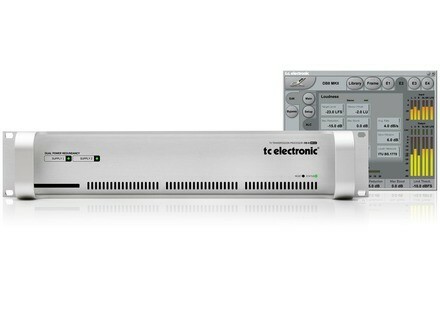 • LM6 metering – EBU R128 and ATSC A/85 compliant and new SNMP functions. • One week of detailed logging, even without connection to a computer. • Two power supplies, two fuses, two main inlets and two Swiss-made Papst fans. • Runs original DB4 and DB8 presets. • Work whether metadata has been correctly set upstream or not. • 48 kHz sampling, 48 bit processing. [Musikmesse] Reference Standard 4000 Series DPA Microphones will officially launch its brand new modular series of microphones at Prolight & Sound/Musikmesse 2011, stand 8, G40. Midas VeniceF Mixing Consoles Include Propellerhead Record Propellerhead Software announced that their Record software has been chosen by mixing console maker Midas to be included with all new VeniceF mixing consoles.